There was tight security inside the Pretoria Magistrate's Court on Monday where paralympian Oscar Pistorius was due to appear. Twelve police officers and six security guards were stationed inside the court room, where media and Pistorius family members had gathered. It would have been his girlfriend Reeva Steenkamp's 30th birthday on Monday. Pistorius was initially charged with murder after the model and law graduate was shot dead in his Pretoria home on February 14. The Myers family were also seen in court. This was the family Steenkamp lived with when she was living in Johannesburg. Their daughter Gina Myers was Steenkamp's best friend. On Friday, the National Prosecuting Authority said the State was expected to serve the double amputee with an indictment. During a bail hearing, Pistorius's defence read out a statement in which Pistorius said he thought Steenkamp was an intruder. He has been out on R1 million bail since February 22, with some of the conditions amended since then. On June 4, prosecutor Andrea Johnson said in court that no details of the investigation would be revealed. She said the State needed more time to investigate the crime. This was by agreement with Pistorius's defence. 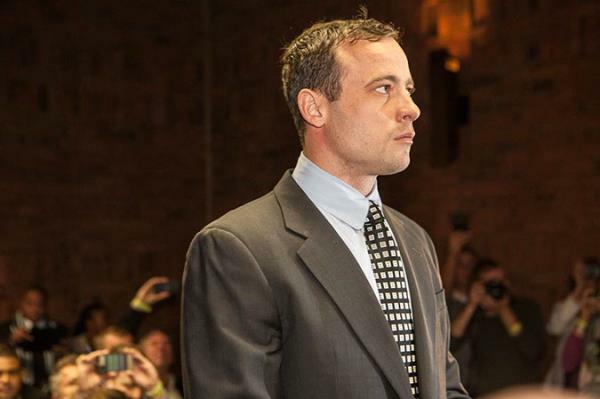 Johnson said the attention generated by Steenkamp's death was not something the prosecution or the State could control, and felt his rights should not be overridden and that he had the right to be treated like any other person. Last Tuesday, police confirmed that the investigation into Steenkamp's death had been completed and that the matter would be postponed. National police spokesman Lt-Gen Solomon Makgale said the investigating team was convinced that Pistorius had a charge to answer to. The court session was expected to start at 09:30.